My stomache bug killed my cell phone: while regurgitating, I dropped it to the floor and the mic stopped working, rendering it useless as a phone. I will probably turn it into a dedicated monitoring device for the PageKite service - it's perfectly specced for that particular task: runs Linux, has a built-in UPS, redundant networking and native ability to send SMS alerts. 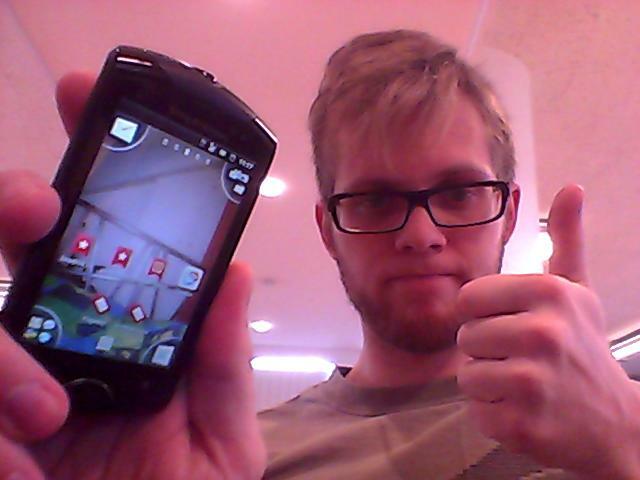 Work bought me this replacement: a Sony Ericsson Xperia Live. It's got a pretty screen, a good camera (two cameras, actually), a standard 3.5mm microphone jack, a 1Ghz CPU and 320MB of RAM. It runs Android 2.3.4 and is probably beefy enough to run the next generation of Android as well. It does both the fancy WiFi hotspot trick and the 3D-building popouts in Google Maps. And it's shiny! The only feature it lacks is a physical keyboard - it makes up for that by being small and generally awesome. Normally I would avoid Sony-branded products due to their horrible track record of DRM, back-doors and other consumer-hostile behavior. But, to my surprise, when I Googled this phone I discovered that the company is actually helping the ROM-hackers and tinkerers and they even provide official tools for unlocking their phones. That's the kind of product I am willing to pay for!